Many modular home builders have “found their niche.” These builders focus on a particular style or type of home and become so proficient in building them that selling them is easy and the profit margins are higher. This is end result of segmenting your prospects. A good example of niche selling was when I managed a large lumber yard in Central PA. I had a site builder that only built 2,400 sq ft, 2 story center hall colonials with 6 windows across the second floor and a full length porch. He built 6-12 a year, every year for the 5 years I managed the yard. If he wasn’t building for a customer he was building a spec. They all looked similar. If someone wanted him to build something other than a 2 story home, he politely turned them down. Would he survive in today’s market selling just this one style of home? Probably not. I imagine that he would continue marketing that home but would probably pick a couple of subsets of that home to offer. Maybe becoming a solar energy expert or having several floor plans with ADA, in-law suites and adult children living with their parents. What I can’t imagine is him giving up entirely on the niche market that made him successful. On a side note, had he lived, he would be 96 years old today. Niche marketing is extremely cost-effective. For instance, if you are offering a series of homes or a unique feature for a selected demographic, you could advertise the product using social media so that marketing budget go a lot further, allowing you to use a more comprehensive media mix. Niche marketing works well when you understand the market. Understanding the market means you are able to identify the unique needs of your potential new home buyer, provide new and compelling products, tailor your products in the right way, communicate efficiently with the target group and identify how you will position against your competitors. While your competitors are trying to be everything to everyone, niche marketing provides less competition for your targeted prospective home buyers to choose from. Niche marketing makes it possible for businesses to build their brand loyalty. This marketing approach lets you provide customers with products and services they need and desire. You end up having a leg up on the competition because you are the expert. Don’t kid yourself, when someone builds one of your ‘niche’ homes they will be sharing it on every social media site they have. Like minded people will see their posts and contact you. Niche marketing is all about selling to a segmented market. It is about taking your message to people who have an interest in receiving them. This can help you redefine your business, leading it in a new product directions and services. You will end up creating new opportunities for your business by selling similar or support products. Once you begin to concentrate fully on niche marketing, you will learn about new products, innovations and ideas about the market. This is a type of marketing where you will never throw away money hoping for returns. 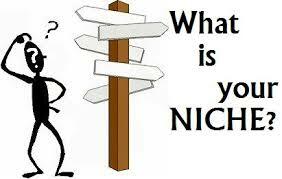 Niche marketing makes it easy for you to save on your marketing dollars. Using social media targeting the people you want is almost always free. There is one disadvantage that I need to point out. By concentrating your efforts on a niche market that may be too exact, you could be missing out on sales and profits. For example, if you had built the perfect house for disabled insurance salesman that was injured on the job, marketing only to salespeople in your service area would bring you little or no business as insurance salespeople don’t get injured on the job that often and those that do may not be in a position to buy a new home. So don’t make your niche market so tight that you exclude a majority of people that would benefit from living in one of your homes.